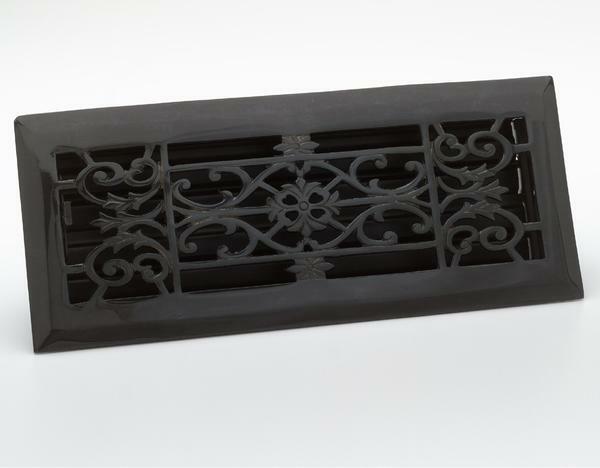 This black finish decorative design floor register with clear lacquer coating is fashioned from 100% solid brass. Dampers are made of metal and have an easy to access damper control switch, allowing for complete air flow control. 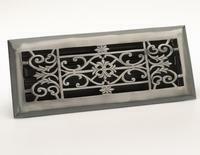 Easy to install and includes step-by-step installation instructions.